Located in the southern English county of Berkshire, Bracknell is a town in the Borough of Bracknell Forest. With a population approaching 80,000 and good access to London, the property market in the area is strong. At My Home Move Conveyancing we have been developing our knowledge and expertise of local markets since 2001, allowing us to bring our clients in Bracknell an outstanding specialist, fixed fee conveyancing service. You’ll need to instruct property lawyers to complete the legal work on your behalf when buying or selling property in Bracknell. 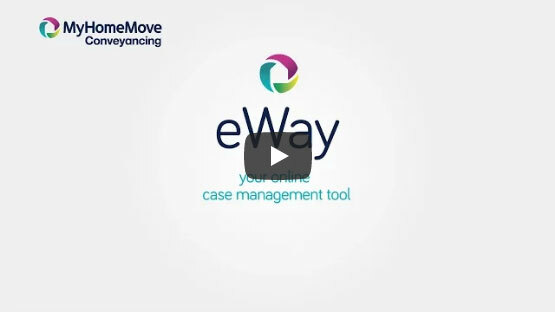 By choosing My Home Move Conveyancing to be your Bracknell conveyancers, you’ll receive the full benefit of our award winning customer service, which we combine with an innovative use of technology to deliver more completions per year than anyone else. Our conveyancing service is fixed fee, meaning there are no hidden costs to worry about, and you can plan exactly how much you’ll be paying from the outset. Moreover, if you don’t end up moving for whatever reason, you won’t have to pay us anything. We assign all of our clients a dedicated conveyancer, who will act on your behalf from start to finish, providing you with regular updates on the progress of your case, a consistent point of contact, and a high level of expertise. At My Home Move Conveyancing we can supply our professional conveyancing services in Bracknell to homebuyers across the local area, from those looking for a contemporary flat close to the centre of town, to others searching for a spacious detached family home on the outskirts. The average house price in Bracknell Forest is £352,699, while in Bracknell itself the overall average sale price over the last 12 months was £343,857. Most sales involved terraced properties which went for £306,979. Flats sold for an average of £231,489, and detached properties for £542,329. Designated a new town in 1949, Bracknell’s name was first recorded in the 10th century. The town centre is experiencing a great deal of regeneration that commenced in March 2015, with the Lexicon Bracknell helping to create a new social and cultural heart for the town. Bracknell ranks as a great place to live thanks to the high quality of life and income levels it is judged to have, while it is a viable commuter town for workers in London. Start your children’s path to earning at one of the area’s schools, which include St Joseph’s Catholic Primary, Winkfield CofE and Meadow Vale Primary on Moordale Avenue among the options for the younger generation. Secondary choices meanwhile include the Brakenhale School, Easthampstead Park School and Bull Lane’s Garth Hill College. Bracknell has two railway stations - Bracknell and Martins Heron - on the Waterloo to Reading Line, with services available from the former to Waterloo station in around an hour. The M4 motorway passes just to the north of town, linking Bracknell to the capital and the wider national motorway network, while Heathrow Airport is under 20 miles from the town centre. All properties in Bracknell will fall within one of the following council tax bands.